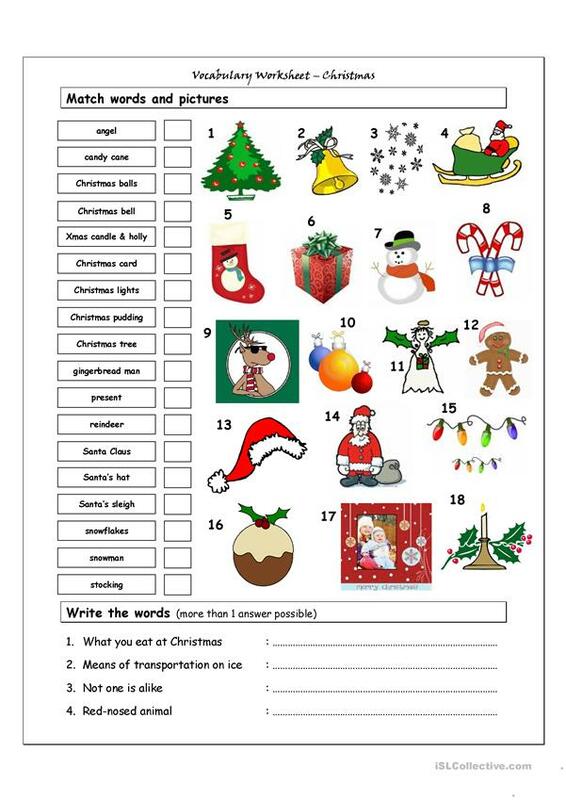 Vocabulary worksheet containing CHRISTMAS vocabulary. It has two sections: Match words and pictures (matching exercise) and Write the Words (reading and creative thinking exercise). This downloadable teaching material is intended for high school students and elementary school students at Elementary (A1) and Pre-intermediate (A2) level. It is excellent for developing your students' Speaking and Writing skills.